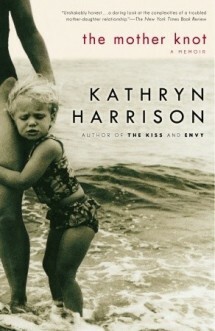 As we know from Kathryn Harrison’s earlier autobiographical writings, the trauma of an unhappy childhood she was rejected by her mother, who gave birth as a teenager left her with two overwhelming compulsions: to punish herself for her mother’s failings, and to protect her own children fiercely from any and all of life’s abuses. When Harrison’s 10-year-old son was stricken with severe asthma and genuinely needed her protection, the two compulsions became mutually incompatible. This tiny memoir gives an anguished account of Harrison’s struggle to vanquish one side of her personality the neurotic, victimized child in order to liberate the other side, the mature, nurturing mother. Overcome by guilt and fear when her son fell ill, she gave way to the depression and self-lacerating anorexia that had plagued her earlier years. Harrison saw that to win this battle, she would need an exorcism, a slashing of “the mother knot” that had bound her emotionally since childhood. The book’s searing climactic scene of a symbolic reverse childbirth tragic, comic, appalling, and touching is too complex, too literate, to be pinned with the facile label of “closure,” though that surely describes the outcome for which the author and her long-suffering therapists devoutly wished. When acute asthma struck the 10-year-old middle child of Kathryn Harrison, the author fell into a “black hole” of depression. In this unsettling account, Harrison, author of the memoir The Kiss, the essay collection Seeking Rapture and several novels, shows in almost uncomfortably naked prose how thin the line is between sanity and madness. Later, as Harrison’s mother dies of cancer in her early 40s, she predicts to her daughter, “After I’m dead, you’re going to be very angry with me.” While juggling her family’s needs with a worsening state of mind, Harrison starves her body to such a dangerous level that her internist tells her that if she loses 3 more pounds, he will have her hospitalized and force-fed. What rescues Harrison is ritual. With her husband’s blessing, she has her mother’s body disinterred and then cremated. “I’m not so much having my mother dug out of the ground as I am exhuming her from my own body,” Harrison tells her analyst. On a blustery March day, Harrison takes the ashes to a Long Island beach, where she walks out into the freezing water to let go of her mother. The scene, which alternates between flashbacks and the present, reads with the emotion of poetry. “When the waves reached the middle of my thighs, enough of me immersed that I could claim to be in the sea with her.” Whether this moving ceremony allows Harrison to return to a peaceful state of mind is unknown. Indeed, more questions than answers remain at the end of this 82-page book. Is her son recovering? Was this depression only a case of unfinished mother-daughter business? As the book ends, Harrison watches her mother’s ashes spread across the sea. But has Harrison finally let her go?